Times are tough in the business world. 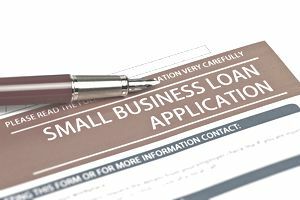 Banks are cutting back on start-up loans, which are the riskiest loans a bank can undertake, and the Small Business Administration seems to be restricting the number of loans it will guarantee through its SBA loan programs. But if you are prepared, and you have the "4 C's," you have a much better chance of obtaining that loan. How Can I Be Protected if You Don't Pay Me Back? That's it. Couldn't be simpler. The trick is figuring out what your lender wants to see to answer these questions. Lender requirements can be expressed as the "4 Cs". A credible Business Plan, including great financials, to show you have the capability of showing a profit, so you can pay back the loan (remember #2 above). A fantastic credit rating, because you are probably going to have to personally guarantee the loan, and the banker wants to know that you have a track record of fulfilling your financial obligations (remember #2 above, again). Collateral means having some funds you can pledge to the bank. In other words, they want a "down payment" so that you are getting a "secured" loan. Your lender wants you to share in the pain if your business fails. So they want you to put your personal funds or business funds (like savings accounts) on the line. Some banks want 100% down. This doesn't mean they want you to provide 100% of the funding; if you could do that, you wouldn't need the loan. But they want some kind of assets you can pledge. If you don't have the assets, the bank may require you to have a co-signer; that is, someone who has the cash to pledge against the loan. You may be able to get an SBA-backed loan, in which the SBA can serve as your co-signer (sort of), to satisfy the bank's need for collateral. You'll also sign a business loan agreement. Capital is reflected in your business assets. Bring a list of the business assets that you can use as security for the loan. Capital is the most difficult part of getting a loan for a new business because new businesses don't have equipment and facilities yet; that's why they need the loan, to purchase this stuff. If you have capital assets that you can contribute to the business, it may help secure the loan, particularly if you are expanding or adding inventory to an existing business. Capital assets are priced at fair market value (current), not at what you bought them for, and depreciation reduces the value. So if you bought a piece of business five years ago for $25,000, the bank isn't going to give you $25,000 for it, since its fair market value is likely to be much less than $25,000. That's why capital is less valuable to a bank than credibility and collateral.